As of March 2017, there are 24 licensed banks in Guernsey. The country’s banking sector hosts several branches and subsidiaries of international banks with head offices in the United Kingdom, the rest of Europe, the United States, and several other countries. Guernsey’s banking system is comprised of Private Banking and Corporate Banking sectors. Corporate banking provides a full suite of banking services to trading companies, holding and investment companies, investment funds, trusts, and captive insurance companies. Private Banking, on the other hand, offers services to high net worth individuals (HNWIs) from the UK and other countries. As of 2016, banks in Guernsey owned assets amounting to US$109 billion, which include loans and advances, securities, investments, plus intra-group exposures. The bank’s total liabilities were estimated at US$154 billion. 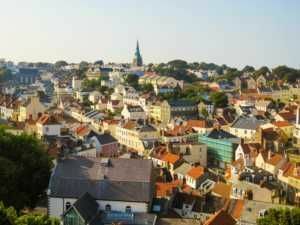 For anyone considering a career with banks in Guernsey, this list of top banks in Guernsey is a helpful guide on where to start. To learn more, see our lists of financial institutionsCompaniesLists of the main players in corporate finance. We've got lists of the most important financial services companies, banks, institutions, accounting firms, and corporations in the industry. Browse these guides to prepare for a career in financial services and start networking today to accelerate your career. The bank was incorporated in Guernsey in 1973 and is regulated by the Guernsey Financial Services Commission in Guernsey and the Jersey Financial Services Commission in Jersey. It is registered under the Banking Business (Jersey) Law 1991 and the Banking Supervision (Bailiwick of Guernsey) Law 1994 to accept deposits. It is permitted by the Financial Services (Jersey) Law 1998 and the Protection of Investors (Bailiwick of Guernsey) Law 1987 to conduct investment business in Guernsey and Jersey. Credit Suisse AG Guernsey Branch provides private, general, and online banking services. It also offers investment advice and custody services, as well as banking services including current accounts, fixed-term deposits, fiduciary deposits, bank drafts, and electronic SWIFT transfers. In addition, Credit Suisse (Guernsey) Limited provides foreign exchange and money markets services for the collective safekeeping of securities, as well as portfolio management for private clients. The company is based in St. Peter Port, the Channel Islands. Credit Suisse AG, Guernsey Branch operates as a subsidiary of Credit Suisse AG. It was established in 1986. The bank is based in St. Peter Port, Channel Islands. Credit Suisse AG, Guernsey Branch operates as a subsidiary of Credit Suisse AG. It was established in 1986. Schroders provides investment services in Guernsey. The company employs 4,100 staff in its 41 offices spread across the globe. Skipton International Limited was founded in 2009. It is an offshore bank that provides offshore savings accounts and residential mortgages in Jersey and Guernsey. The offshore accounts include notice, easy access, and fixed rate accounts to individuals, and mortgage services to residential customers. The bank operates as a subsidiary of Skipton Building Society. The Guernsey branch of Lloyds Bank International Limited is licensed by the Guernsey Financial Services Commission to accept deposits and perform controlled investment business and insurance intermediary business under The Banking Supervision (Bailiwick of Guernsey) Law, 1994, The Protection of Investors (Bailiwick of Guernsey) Law, 1987 (as amended) and The Insurance Managers and Insurance Intermediaries (Bailiwick of Guernsey) Law, 2002 (as amended). It is also registered with the Guernsey Financial Services Commission as a money service provider. EFG Private Bank (Channel Islands) Limited in Guernsey provides banking and credit, financial planning, investment management, offshore trust and company formation and management. Established in 2011 as one of the private banks in Guernsey, it is based in St Peter Port, the Channel Islands. EFG International (Guernsey) Limited operates as a subsidiary of EFG International AG. HSBC Private Bank (Guernsey) Ltd operates as a subsidiary of HSBC Private Banking Holdings (Suisse) SA. HSBC Private Bank (C.I.) Limited is licensed to conduct controlled investment business. Portman Channel Islands Ltd operates as a building society that provides mortgages and savings in the United Kingdom. It offers various offshore savings and investment products to the residents of the Channel Islands and the United Kingdom. The company’s products include international reserves, fixed interest bonds, international access, and offshore access, as well as corporate tracker accounts. Portman Channel Islands Ltd is a subsidiary of Portman Building Society. Before that, it was a subsidiary of Scarborough Building Society. As of 2016, the bank’s total income US$59,836 million and total assets were US$2,374.9 billion. Landsbanki Guernsey offers savings and investment accounts, and fixed rate bonds in Guernsey. In addition, it also provides regular savings, easy saver accounts, tax-efficient savings, individual savings accounts, stock market-linked investments, guaranteed capital accounts, and instant access accounts. The bank was founded in 1997 and is headquartered in Guernsey, the United Kingdom. In 2006, Landsbanki Guernsey Limited became a subsidiary of Landsbanki Islands. Founded in 1967, SG Hambros Bank (Channel Islands) Limited operates as a subsidiary of SG Hambros. The bank offers banking and wealth management services. It provides investment services, including discretionary and non-discretionary managed portfolios, structured products and alternative investments advisory, execution and custody, mutual fund research and advisory services, fiduciary, private client trust and company administration, corporate trust and fund administration, financial engineering, insurance products, and financial planning. The company is based in St. Helier, the Channel Islands.